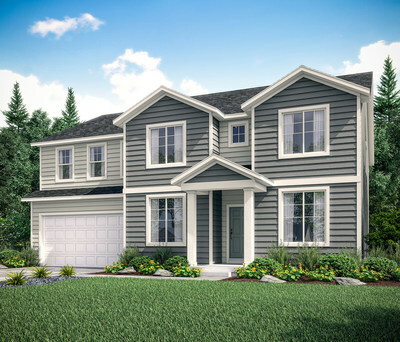 SALT LAKE CITY, Jan. 29, 2019 /PRNewswire/ -- Century Communities, a leading national home builder, announced today that Jordan Meadows, a new home community in West Jordan, will host a model grand opening Saturday, Feb. 2 at 7682 South 4690 West. The celebration runs from 11 a.m. to 3 p.m. and includes tours of the model home and refreshments. Jordan Meadows is a popular new neighborhood developed by Century Communities offering seven innovative new two-story and two rambler floor plans starting in the high $300s. Two of the plans are available for quick delivery and move in; plus, nine of the total 48 lots were sold during the pre-model opening. The homes range in size from 1,610 to 3,394 square feet. Homebuyers can choose from 3-8 bedrooms, 2-3.5 baths, with options of 2-4 car garages. Inside, thoughtfully planned spaces feature open kitchen designs with stainless steel appliances, warm wood laminate in the entry, kitchen and breakfast nook, oversized tile in bathrooms and laundry, and spacious walk-in closets in the master suite. The model home on tour includes four elevations with covered front porch and several options for homeowners to choose appealing exterior finishes. "Jordan Meadows is an up-and-coming neighborhood with a friendly urban feel, yet close to all the amenities of Salt Lake City with outstanding views of the Oquirrh Mountains. Homebuyers will appreciate this community's great selection of floorplans, with a multitude of options and upgrades. Come see us at our grand opening and learn about the many ways you can personalize your new home," said Todd Amberry, Century Communities' Utah division president. Located in the southwest end of the Salt Lake Valley and 18 miles from downtown Salt Lake City, West Jordan is one of the Salt Lake City's most rapidly growing suburbs. A major landmark is historic Gardner Village, established in 1850, which includes brick-lined paths past mills and houses that have been renovated into a shopping district filled with boutique shops and specialty restaurants. The West Jordan area also offers abundant recreational opportunities, parks, established schools and a variety of local events.